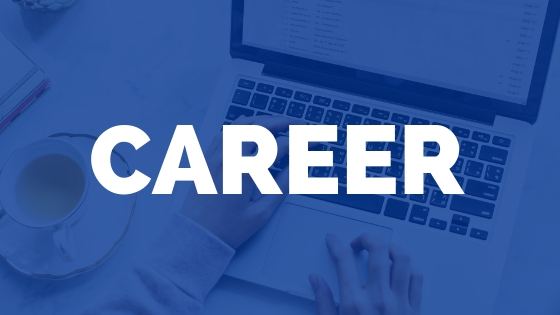 As a Physical Therapist and blogger, I get a lot of questions about plantar fasciitis, shoe insoles as well as requests for me to try insoles. I’ve shared a lot of my opinions on plantar fasciitis, shoe inserts, and exercises for heel pain on the blog. 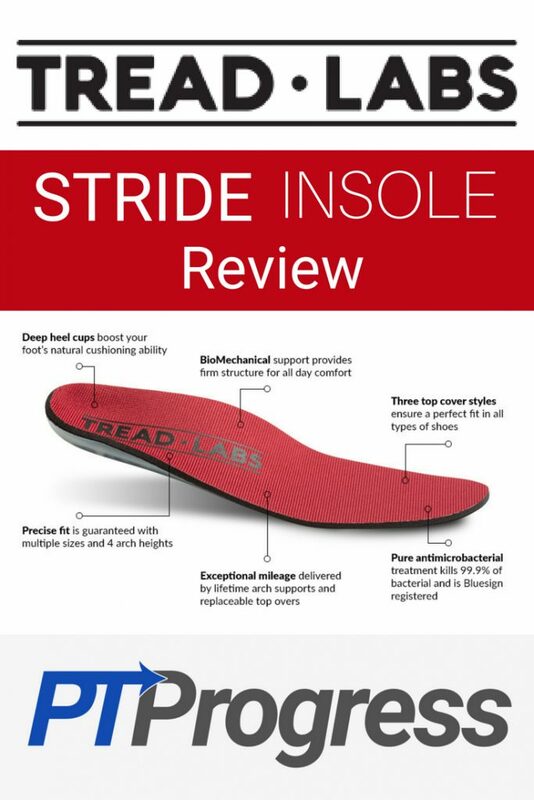 So when Tread Labs reached out to hear my thoughts about the Stride Insole, I had to see what the buzz was about. Personally, I have a higher arch, so it’s comfortable for me to wear a shoe with a modest insole for support. 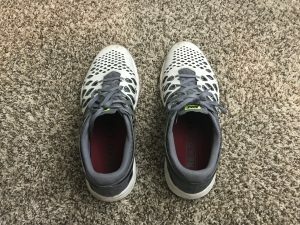 I was able to trial the medium and high arch insoles from Tread Labs (I ended up preferring the medium arch insole) and included my review below. First I wanted to see what Tread Labs was all about. If you’re just interested in my Stride Insole Review, then scroll down. The idea for Tread Labs was drawn up by its founder Mark Paigen, who is known for building the brand Chaco, one of the most comfortable and supportive sandals on the market. With years of training and experience in foot biomechanics, Mark designed an insole that would combine comfort and versatility for nearly every shoe type. He makes it very clear that the Tread Labs insoles are designed and produced at the highest quality from the start. 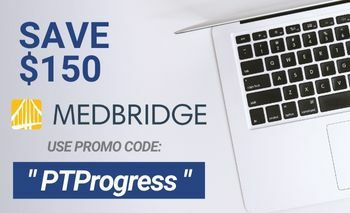 It’s probably why you won’t really need the 30-day fit guarantee they offer, but it’s there if you absolutely need it. For me, it’s important to know the backstory behind a product. These insoles weren’t a side-thought from some big brand shoe company. Mark understood that feet are different and a one-size solution wasn’t the answer. Insoles needed to match the demands of the both the high and low arch users, so Tread Labs was born. 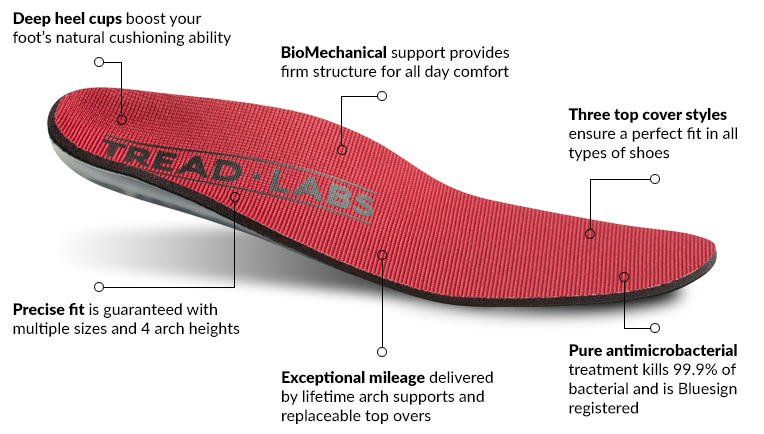 At first glance, the Tread Labs insole looked deceivingly simple. The top liner appeared to be a basic cloth pad and the heel cup and support looks surprisingly simple. But don’t be fooled. They may look simple, but these insoles hold up to the test. The top cover is designed to be replaceable (brilliant!) and adjustable. In other words, you can actually remove the top cloth portion of the insole and trim it to fit your shoe as well as replace it when it wears down (as all cloth insoles will). The polyurethane foam insole cover is no joke actually. While it resembles a standard foam insole that you’ll find in most shoes, it’s 5x sturdier than the standard EVA. (Ethylene Vinyl Acetate is the typical elastic material found in standard shoe inserts.) 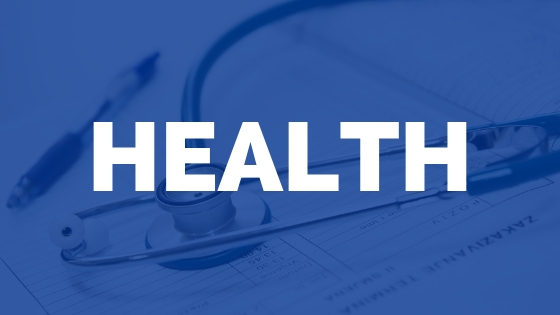 Plus, they’re made with Pure™ antimicrobial treatment that kills 99% of bacteria. The molded plastic composite that makes up the heel cup and arch support is lined with a Velcro style lining that makes for easy replacement of the top cover. It’s a no frills design that is practical and works. In other words, the arch support might look simplistic, but once you put it in your shoe, you’ll be happily surprised. I’ve tried quite a few insoles myself and have analyzed dozens of insoles from patients who visit me in the clinic. 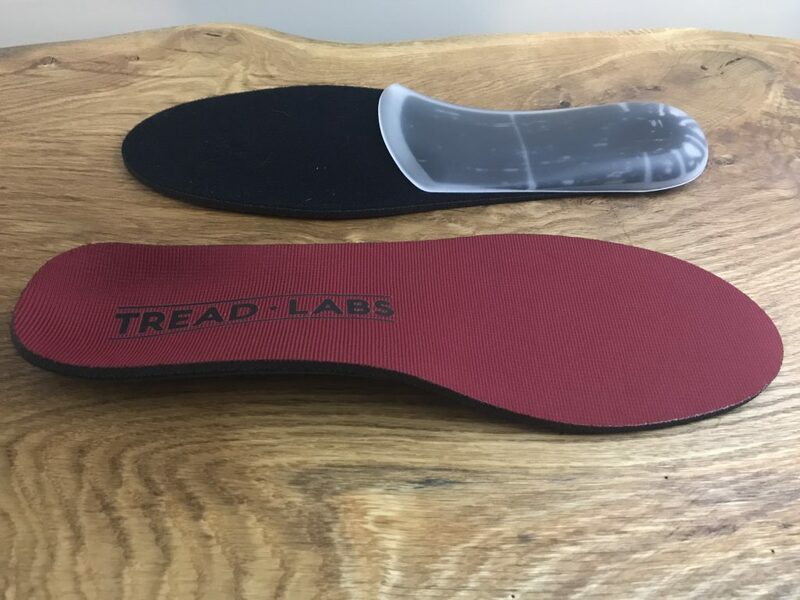 I have to say – the Tread Labs insoles rank as one of the most comfortable insoles that I’ve ever tried. I put them in my 2 year-old walking shoes and immediately felt solid support in my arch without the overbearing stiffness like you might find in a full-length custom orthotic. What’s it going to cost? You can expect to pay about $75 for these insoles. Now that might sound expensive, especially when you can go to a big box store and buy a $20 gel insole that will collapse in approximately 17 minutes. You get what you pay for here. Truthfully, $75 is good considering these will last 3x-5x longer than the majority of store bought insoles. Not to mention the customization options and attention to quality materials used at Tread Labs. I work with a lot of patients who have plantar fasciitis and have tried $300+ custom orthotics that took 3 weeks to arrive. Before you commit to something extreme, give these insoles a try for 30 days to see how they work for you feet. Also, once you have the insole, you can replace the top cover for just $15. Depending on how many hours / miles you are wearing your shoes, the insole cover may only need to be replaced every year or so. I can’t stress enough how natural it felt to put the Tread Labs insoles into my trusty walking shoes. I have slightly higher arches, so I opted to use the medium arch version, which fits my feet perfectly. The arch support fits my foot very well, providing the support along the inside of my foot where it needs it the most. The deep heel cup molds nicely around my heel and gives my foot a greater sense of stability when I’m walking. When I’m talking to my patients who have heel pain, knee pain, or back and hip pain, I stress the importance of keeping the entire lower extremity aligned well. Proper alignment starts the moment your heel strikes the ground when you walk. If you lack proper alignment, you’ll begin to compensate when you walk or stand. This can lead to increased pain, irritation, and deconditioning of the muscles that work to keep you moving correctly. The manufacturer insoles just don’t cut it for most people. Unfortunately, if you don’t consider changing out the cheap manufacturer shoe inserts, you can end up walking with shoes that don’t give you the support you need for good alignment. 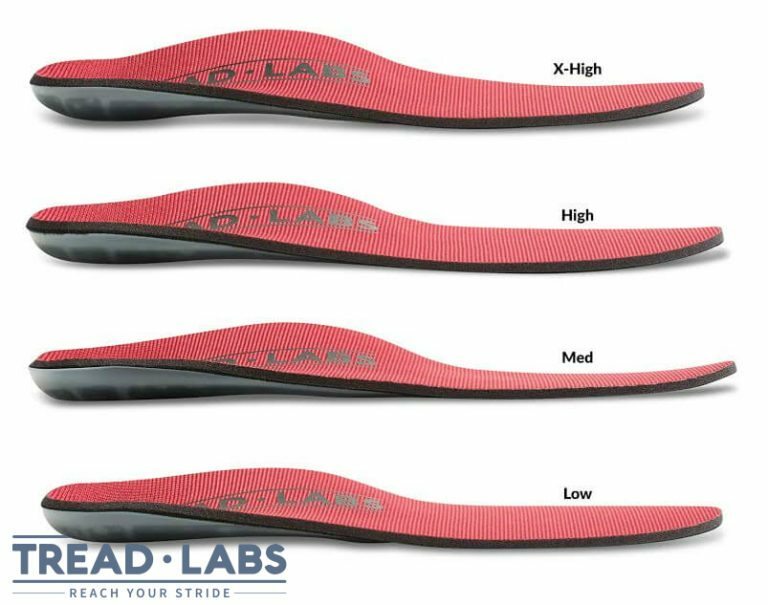 Where Can I Buy Tread Labs Insoles? You can find the Tread Labs Insoles through their online shop or even through Amazon. There you’ll find the Stride, Stride Thin, and Stride Short insoles available for purchase. Stride Insole: These are the insoles I wear and reviewed above. They’re great for footwear that has removable footbeds such as ski boots, work boots, hiking boots, and running/walking shoes. Stride Thin: These insoles are great for close fitting shoes with a thin, removable liner. They’re ideal insoles for cycling shoes, casual shoes, cleats, or the minimalist running shoes. Stride Short: If you have a shoe without a removable insert, these are a great option. You can use these insoles for dress shoes, boat shoes, and flats.